Set in Ganja, Karvansaray Hotel features a seasonal outdoor swimming pool. Boasting a 24-hour front desk, this property also provides guests with a restaurant. Facilities include a terrace and free WiFi is accessible. All guest rooms in the hotel are equipped with a flat-screen TV. 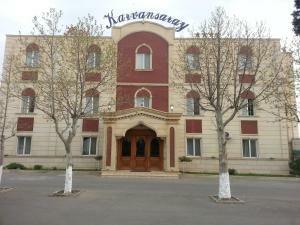 The rooms include air conditioning, and certain units at Karvansaray Hotel have a patio. All rooms feature a desk. 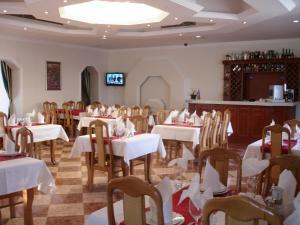 The daily breakfast offers continental and Asian options. 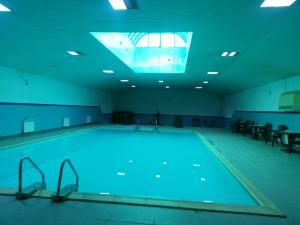 At the accommodation guests are welcome to take advantage of a sauna and an indoor swimming pool. You can play tennis and table tennis at Karvansaray Hotel.